Notes?? Who needs notes?? Just go listen to the show! Fineeeee. Sheldon, Simon and Susan discuss the books for March 21, 2012! 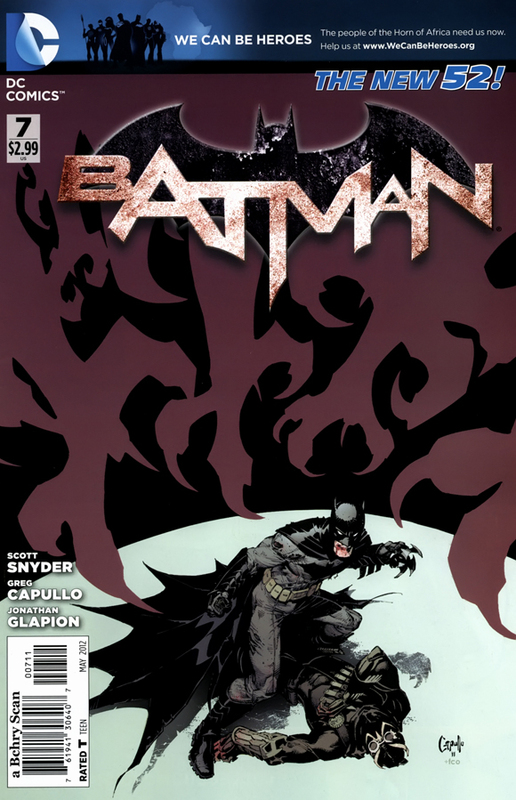 Sheldon had the pick, and he went with Batman #7! Yes, they are all in agreement that this book won the battle royale of books this week. Weird right… so it must be good! The gang also talks about Nightwing, Thunderbolts, John Carter Gods of Mars, Prophet, Wonder Woman, Heart, and what the hell happened with Justice League this week? I mean COOOOMMMMEEEE ON! Well ok. It did have some good parts, but that was only the Gary Frank, Shazam story in the back. All this, and so much more in an all action packed episode number two hundred and fifty six! Whew… you know what? Listen to the show. Thank us later.